I’ve been walking in north Wales so haven’t had chance to post this piece I wrote on Turkey’s nervous LGBTIs and the “perils of visibility.” Clouds have darkened in recent weeks for LGBTIs in Turkey after last month’s police crackdown on the annual Pride March and a broader uptick in violent incidents and homophobic rhetoric. Read the whole piece at Balkanist. 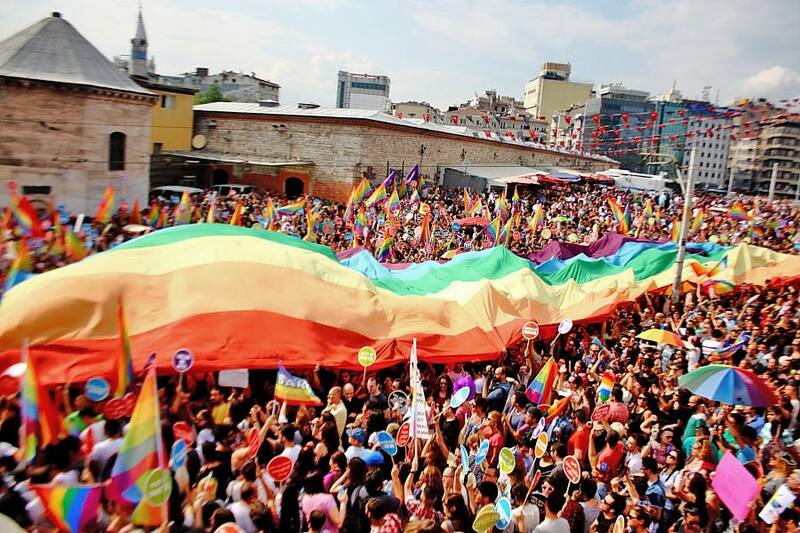 Istanbul’s 2013 Pride March, in happier times. Source: Wikipedia Commons. It was particularly interesting to meet the pro-Erdoğan AK-LGBTI group. Many people assumed they were trolls, but I can confirm that they are serious and in the process of becoming a legally recognised “dernek” (association). Turkey is certainly full of surprises.